With the warmth of spring and summer slowly creeping in, now is the time to start thinking about the necessary accessories you are going to need for your days in the park, festivals and holidays in the sun. One of all those important accessories that no break is complete with is portable music. Today’s smartphones and iPads are great in regards to storage but the lack of sound quality our music libraries deserve. 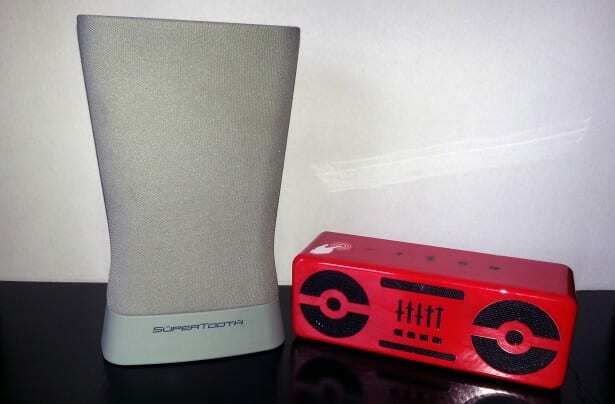 Today we have reviewed two portable speakers. The first being BeeWi’s Blaster Bee Bluetooth Stereo Speakers and the second being Supertooth Disco 3. 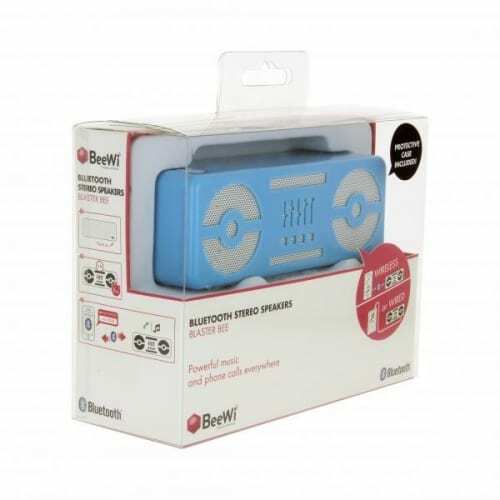 The BeeWi bright red retro looking speaker comes in your standard retail packaging with clear instructions. The Supertooth Disco 3’s packaging is less inspiring. With such a unique shaped speaker, more could have been done to make the packaging more appealing. The Blaster Bee looks and feels great out of the box. Within the packaging, the Blaster Bee comes with a protective rubber case, USB cable and a 3.5mm jack cable that is long enough for most circumstances. Touch sensitive buttons and a glossy smooth finish more than justify the £39.99 price tag. Once turned on, the Disco 3 really begins to shine. The curves and non-uniformed styling adds to the appeal. While the Blaster Bee conforms, the Disco 3 with its awkward styling stands out in a positive way. Personally, I prefer the feel of buttons that ‘click’ as opposed to touch sensitive buttons but that is probably due to the fact I am a child of 80’s used to VCR recorders, XZ Spectrums and one button Atari (for those that can remember). Both devices performed well connecting to various android phones, tablets and iPhones via Bluetooth. 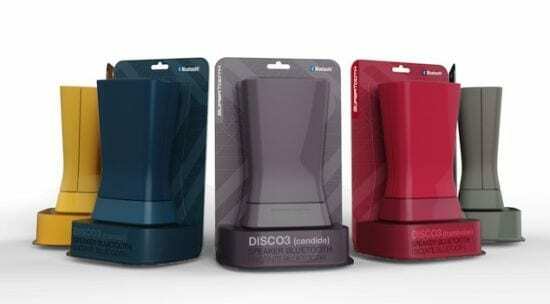 We tried to connect Window devices to each speaker which proved to be problematic due to the need to download drivers but that is simply a Windows issues and takes nothing away from either the Blaster Bee or the Disco 3. Both devices connected within seconds to the iPad Mini and didn’t require much brain power to get going. If you need to resort to the instructions, they are simple-to-follow and will have the biggest technophobe up and running in minutes. When comparing the distance between the source and speakers, the Disco 3 offers a better range indoors and outdoors. The range does vary depending on battery power of both the source and the speaker, the type of building structure and other devices in within range. Here is where the differences really kick in. The Disco 3 retails at almost twice the price of the Blaster Bee and it is easy to see why. The BeeWi sounds great until you start pushing the limited 2.5 watt speakers anywhere near to the max at which point it begins to go all tinny and struggles with the bass. Is this a huge problem? Not really as this is what you will expect from a mid-priced Bluetooth speaker. The Disco 3 retails for £69 so the question that needs to be answered is very simple. Is there a £30 difference in sound quality terms? Yes and then some. The Disco 3 delivers in a way that most wireless speakers can only dream off. Packing 12 watts in its tiny inners, the Disco 3 can handle everything you throw at it without distorting.